Just before Christmas, Farmer Dave tasked our animal-loving Marketing Officer Elaine with trying to find new homes for three of our cockerels. Sadly, boy chicks are often surplus to requirements. We do try to find them homes but it’s not always easy! These three were particularly handsome as they were Buff Orpington – a large breed with magnificent orange plumage. We would have loved to have kept them ourselves, but it’s not a good idea to have too many related hens and cockerels. Saved by the power of social media! 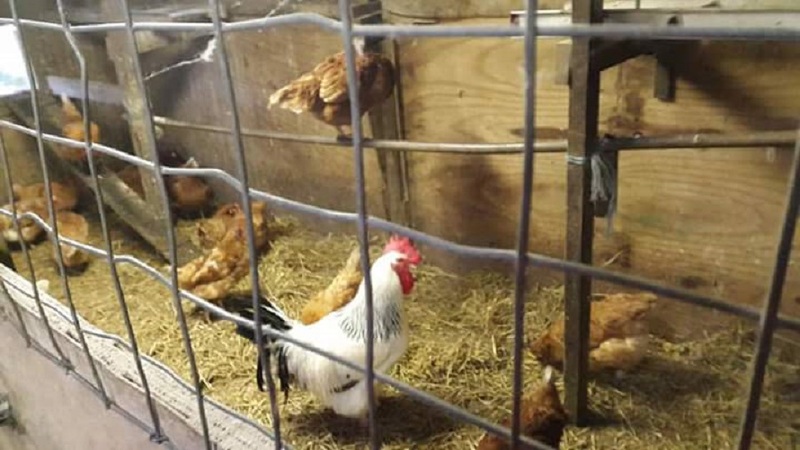 Elaine’s friend Andrew just happened to mention on Facebook the hens at his workplace, which prompted Elaine to ask if they might have room for a cockerel – or three? Luckily Andrew’s boss agreed they could take them in, so off Elaine went with the three boys in cardboard boxes to Boscawen Farm at Blackwater on the other side of Truro. Boscawen Farm is a lovely place which offers work experience and training for adults with a learning disability. Activities include working with livestock, horticulture, rural crafts and social activities. 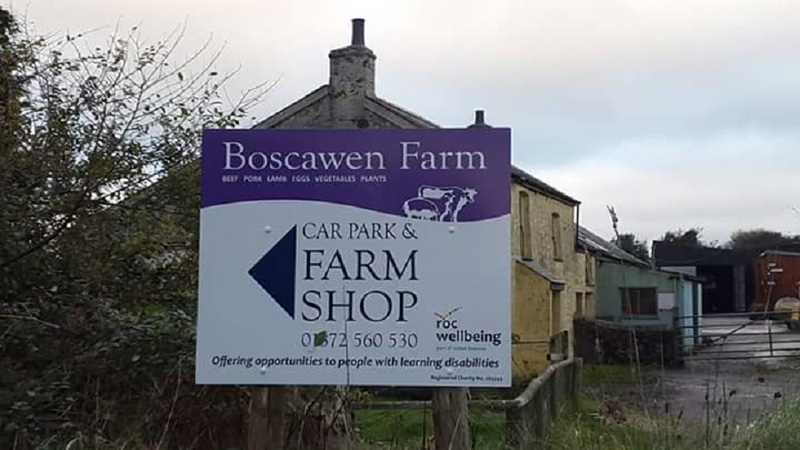 The staff at Boscawen Farm help attendees develop skills such as communication, confidence, assertiveness, team work and a sense of being valued, with a view to living independent lives. Ruth, the manager, showed Elaine around and introduced her to some of the people – and the animals, including a beautiful white billy goat. Ruth had asked the guys at the farm to get an indoor stable ready for ‘our boys’ and the lads had obviously taken great care in doing so – they had laid out lovely straw bedding, water and feed for them in readiness. The cockerels certainly appeared to be pleasantly surprised when they were let out of the boxes (they had been VERY quiet in the car not knowing the fate that awaited them!). They immediately began scratching around and feeding and Elaine felt very happy knowing that the boys would have a good life there. We hear in fact that one of them has gone off to another farm and now has his own entourage of hens. The other two boys are staying at the farm – thankfully they don’t need to be envious – they will also be getting some girlfriends soon! Boscawen Farm is set on several acres of land in Truro. The farm hosts a large variety of animals (including pigs, sheep, goats, guinea pigs, ducks, ferrets, cows and even a bull) and grows its own vegetables. Teachers from Truro and Cornwall College teach Accredited Learning every Monday and Friday at the farm. Students learn a range of skills from farming, planting and growing vegetables to cooking and woodwork.